It’s one thing to encourage creative design in architecture, engineering and construction (AEC) but it’s quite another to enable it. Autodesk is not shrinking from the challenge. 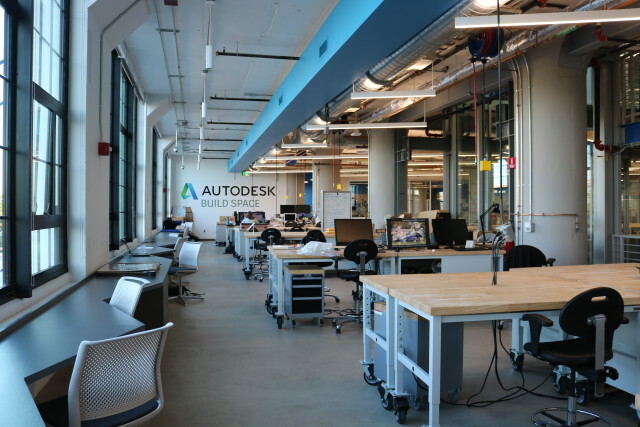 With company initiatives such as the Artists in Residence program and internship programs using Fusion 360 at its home base at Pier 9, it was only a matter of time until we saw something aimed toward AEC. That is exactly what’s happened with the Building, Innovation, Learning and Design (BUILD) Space in Boston. 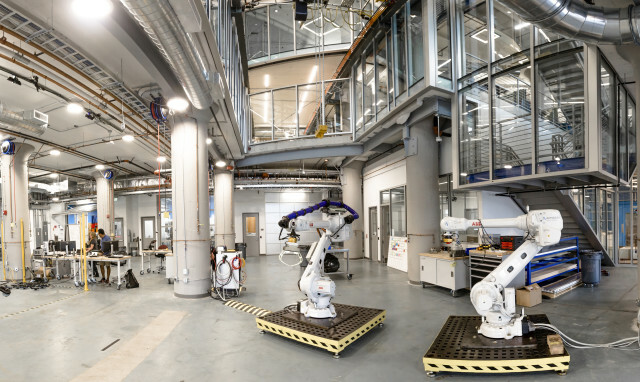 The 34,000-sq-ft facility, which officially opened its doors on Oct. 5, 2016, aims to offer a highly equipped space for AEC teams to test out materials before they hit the construction site. Modern construction sites have no shortage of material options. Steel, wood, stone, concrete, ceramics, glass and carbon fiber are some of the popular ones, which is why they’ll be some of the headliners at the BUILD Space. 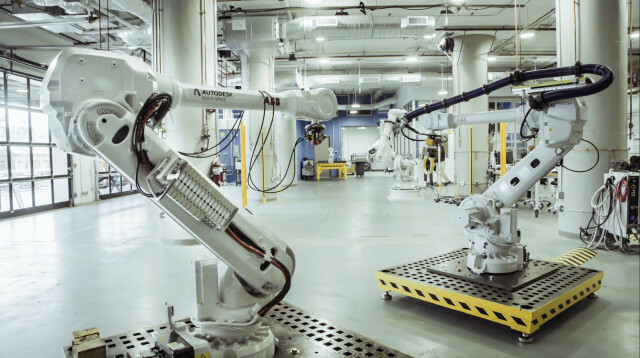 The industrial workshop and innovation studio will enable teams to test out new practices using these materials in fields such as digital fabrication, design robotics and industrialized construction in the hopes of improving how things are made in the built environment. Autodesk followers will be familiar with the company’s mission to provide free licenses of its software to students, hobbyists and start-ups. The BUILD Space will follow this trend, so teams (academic, industry and practice-based alike) will have full access to the studio for free. This could bode well for start-ups and student groups looking to bring new ideas to the built environment. Full access will include the workspace, the necessary training and equipment and Autodesk personnel, executives and other industry leaders. By providing the space free of charge, the company hopes to gain insight into the needs of the construction industry and what the future might hold for AEC. For more information on the BUILD Space, check it out on Facebook and Twitter.